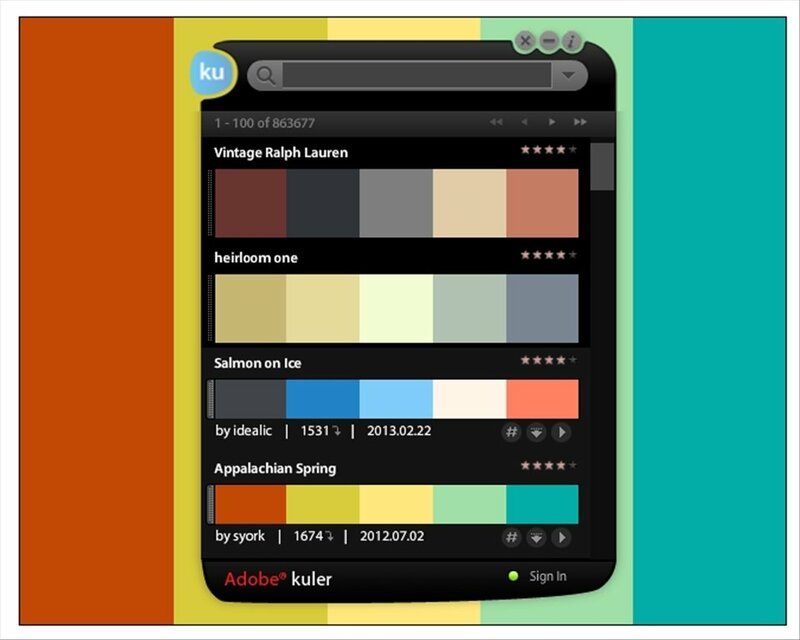 Create customized color palettes with Kuler, a tool developed by Adobe that usually runs on the web, but that, thanks to this package developed for the Adobe AIR platform, you can now use offline just like any other desktop application. Kuler is ideal for designers searching for inspiration for their projects. Create customized color themes from scratch, which you'll be able to share with the rest of the community. 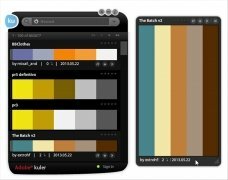 On the same interface you will be able to view all the palettes available, created by other users: download them, import them and edit them to adapt them to your own project. 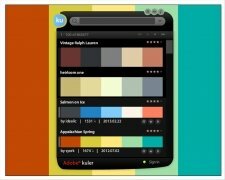 Download color themes from Kuler. Shortcut to the web to develop your own color palettes. Extract the colour theme from a photo. Inspiration comes and goes. Don't let it go by downloading and using Kuler free for Windows. Choose the best colors for your design and set the trend.